To help Coastal Taranaki farmers facing a feed shortage, a group of Midhurst dairy farmers have rallied together to donate hay or baleage. With the dry summer having a significant impact on pasture and crops, growth rates have reportedly gone down 40%, with Coastal Taranaki been hit the hardest. This was followed by Cyclone Gita that struck in February, destroying crops and causing damage to hay barns and milking sheds. "I went for a drive and was horrified by the conditions and thought we had to do something. I felt like crying after seeing the bare paddocks. It was heartbreaking,"
Stratford farmer and agronomist Kelsey Espin says. And so at the local Midhurst Discussion Group, she and her father decided to seek support from other farmers. "The whole of the North Island has been hit by the drought and in general feed is low. But it’s hard to say ‘no’ to those who have absolutely nothing," Kelsey says. "We’re not going to miss one or two bales out of the shed, but for those on the coast, it’ll mean a lot. I’d want someone to do the same for me if I was in their position." The group has collected about 30 bales so far and are aiming for more. Praising the efforts of the group, DairyNZ Taranaki regional leaders Simon Sankey says, "The fact they’re doing it off their own bat shows the real ‘community spirit’ in the sector." The group hopes to inspire other farmers to get start a collection drive. 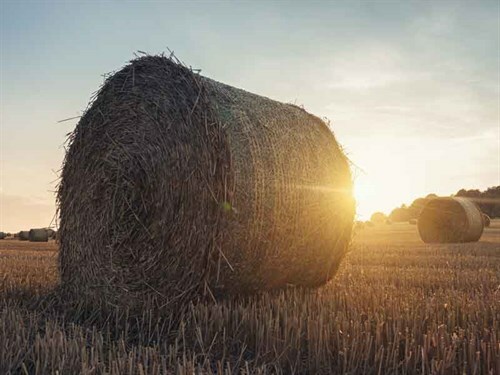 If you would like to donate a bale or find out more about how you can help, contact the Rural Support Trust on 0800 787 254.